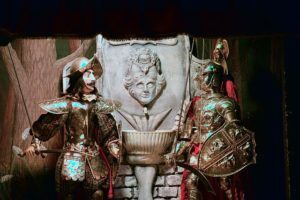 The Opera dei Pupi is a marionette theatrical representation of Frankish romantic poems such as The Song of Roland or Orlando furioso that is one of the most characteristic cultural traditions of Sicily. 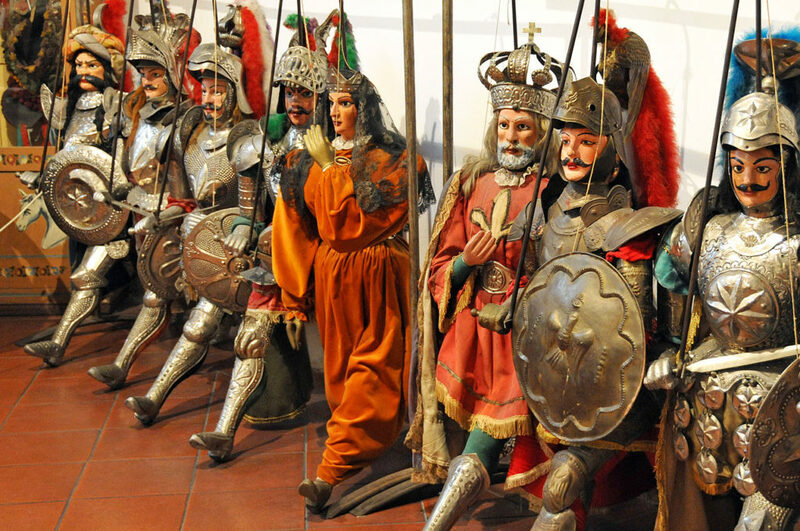 The sides of Sicilian carts are decorated with intricate, painted scenes of these puppets; the same tales are enacted in traditional puppet theaters featuring hand-made wood marionettes . Unfortunately this tradition is rare to find and often is only organized for tourists. But don’t worry ! In the suggestive location of Castelmola, situated above Taormina, the 16th, 17th, 23th and 30th of April at 6.00 pm ( also 7th, 14th and 21 of May ) a Sicilian Puppet Show is available again to keep alive this nearly lost tradition. ” Opera di Pupi Experience ” organized by the local town cultural activities, which will welcome you in the hall of “Castello giardino di Castelmola” with the typical “Cuntu Siciliano” , Mr. Lo Basso as a storyteller will tell, interacting with the audience, the opera “The death of Orlando” . After the show, Mr. Lo Basso will also let you assist and interact to an artisan demonstration on how Sicilian Puppets used to be realized. A Wine tasting along with almond pastries will be served during the show and also during the artisan demonstration. The Puppet Opera is open up to a maximum of 50 seats and it is necessary to book in advance.